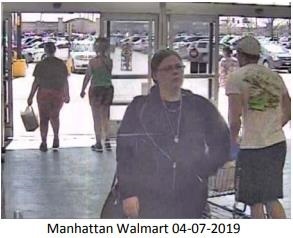 Investigators are searching for a white female who forged stolen checks from a couple of vehicle burglaries in Salina. Police Captain Paul Forrester tells KSAL News that authorities believe the woman took part in two vehicle break-ins at the East Magnolia Soccer Complex on Sunday. Police say one of the victim’s was still watching a soccer game when she was notified that her Discover card was being used at Walgreens on S. Broadway to purchase two, prepaid Visa cards for $512. On Monday the thief forged a couple of checks – depositing one at the First Bank Kansas drive-through at 235 S. Santa Fe and in turn received $1,100 back in cash. Moments later she drove to another First Bank Kansas location at 2860 S. 9th and traded another bogus deposit for $1,700 in cash back. The suspect returned again Monday – but staff realized the account actually belonged to a former employee and asked the suspect to come inside. Instead the woman drove off in a white, Volvo with a stolen license plate. 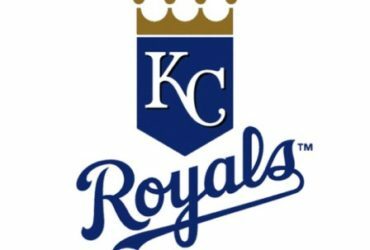 Police report a purse and its contents were stolen from a 2015 Hyundai Sonata that was parked at the soccer complex. Loss and damage is estimated at $1,279. The second vehicle that was broken into at the soccer game was a 2008 GMC SUV. Around $200 in cash was stolen plus a purse and its contents were taken. Loss and damage is estimated at $500. 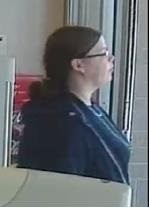 Salina Police are looking for a female suspect who forged a couple of checks and then left the drive-through lane at a bank. 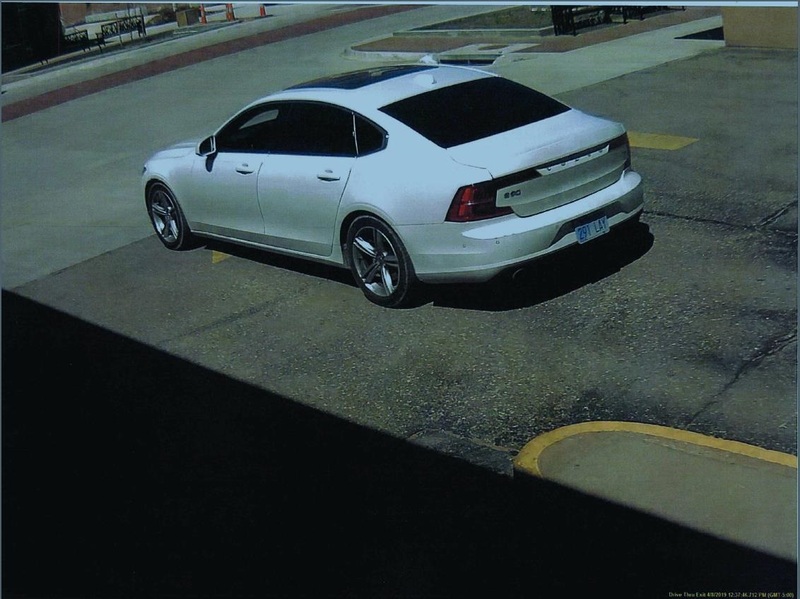 According to Captain Gary Hanus, on Monday afternoon 12:36pm a white female driving a white, Volvo pulled into the First Bank Kansas location at 235 S. Santa Fe and used a forged business check to make a deposit into another woman’s account. After depositing the large bogus check, she asked for an undisclosed amount back in cash and got it. About an hour later, her second attempt failed at the First Bank Kansas location at 2860 S. 9th when staff realized the scheme was back in action. Police are reviewing video from both locations and the investigation is ongoing.